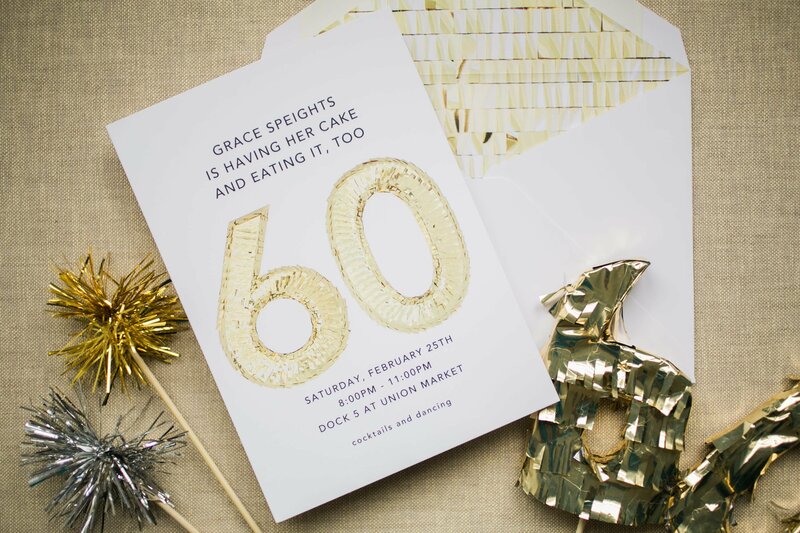 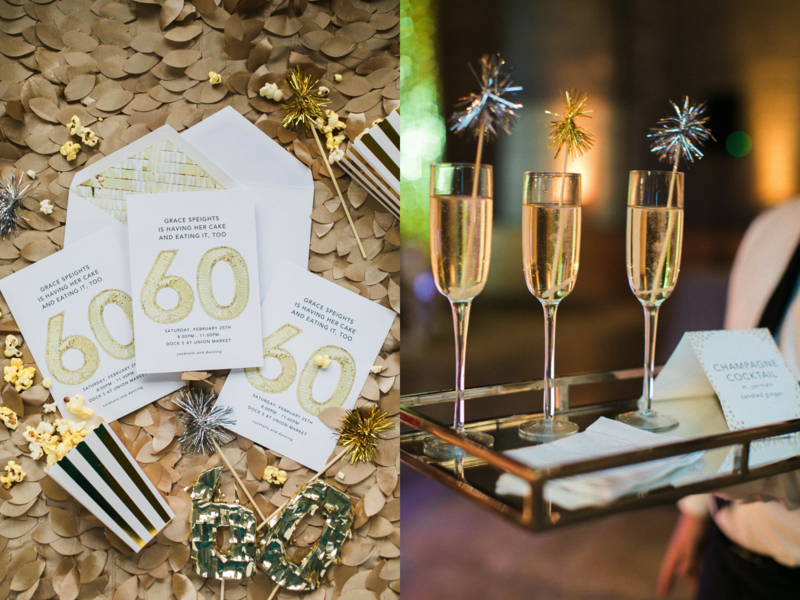 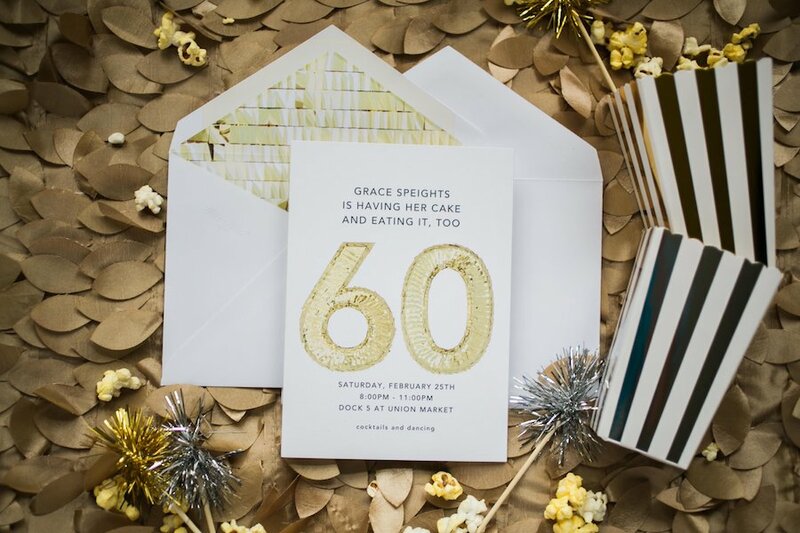 For this fun loving and stylish 60 year old’s birthday party, we began by pulling inspiration from a Paperless Post invitation featuring a large gold pinata inspired 60. 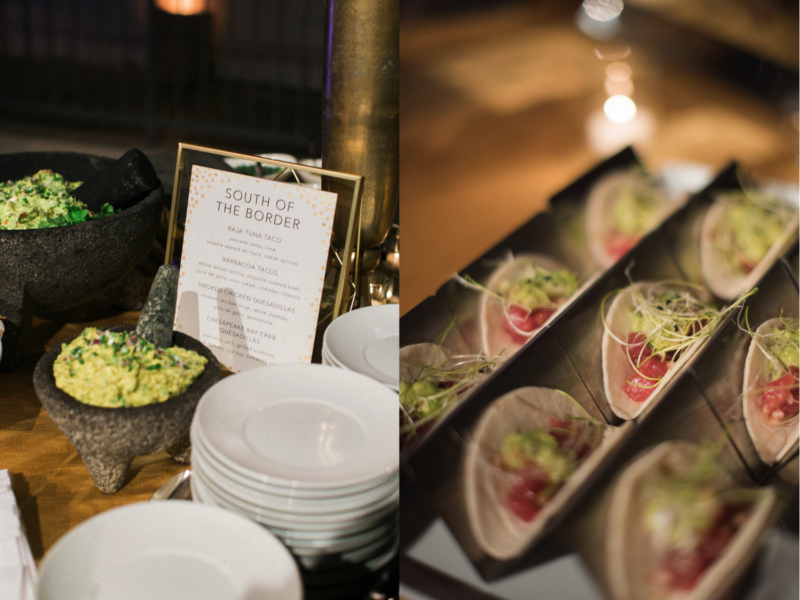 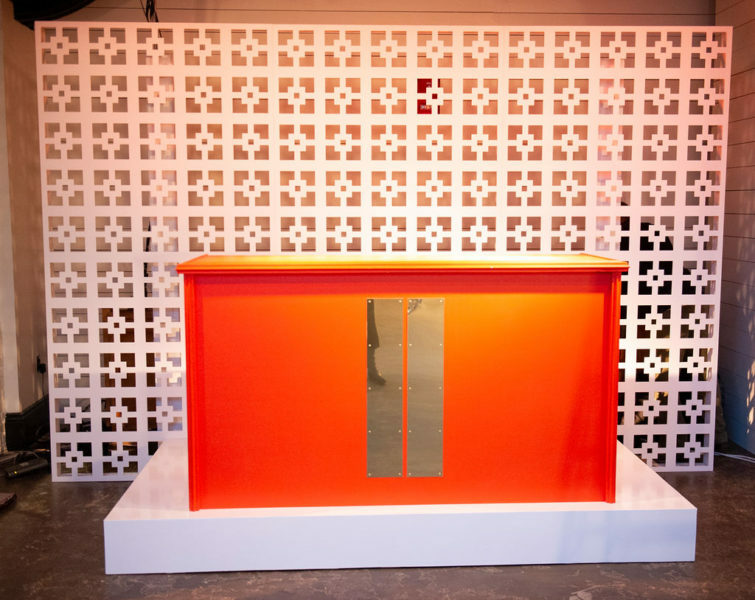 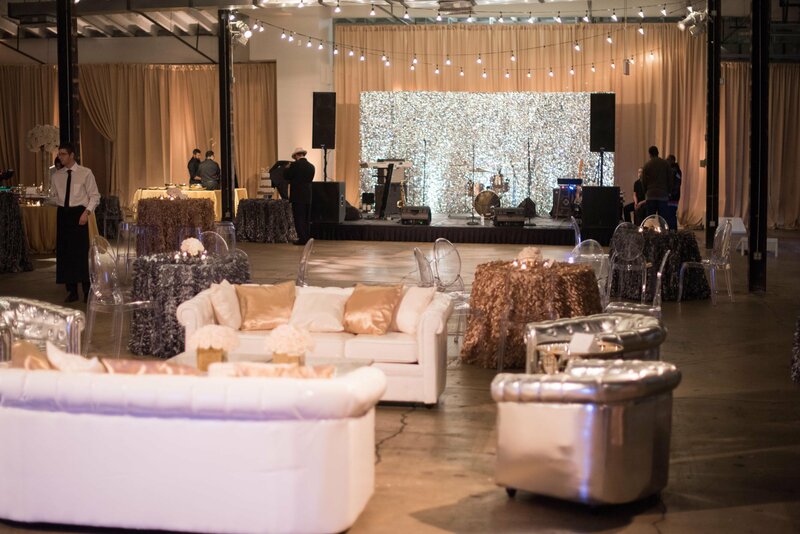 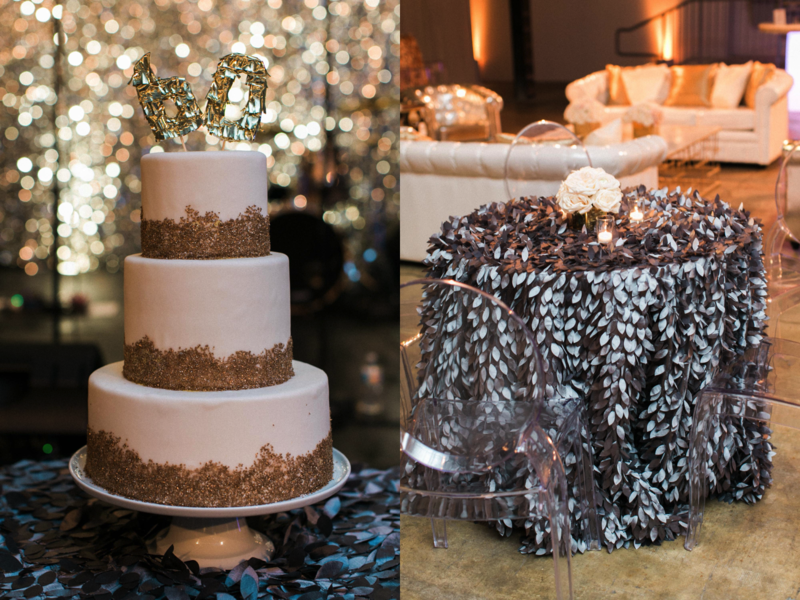 Silver and gold sparkle walls behind the band and photobooth provided a glitzy contrast to the industrial Dock5 venue at Union Market and set the tone for a mixed metal design scheme. 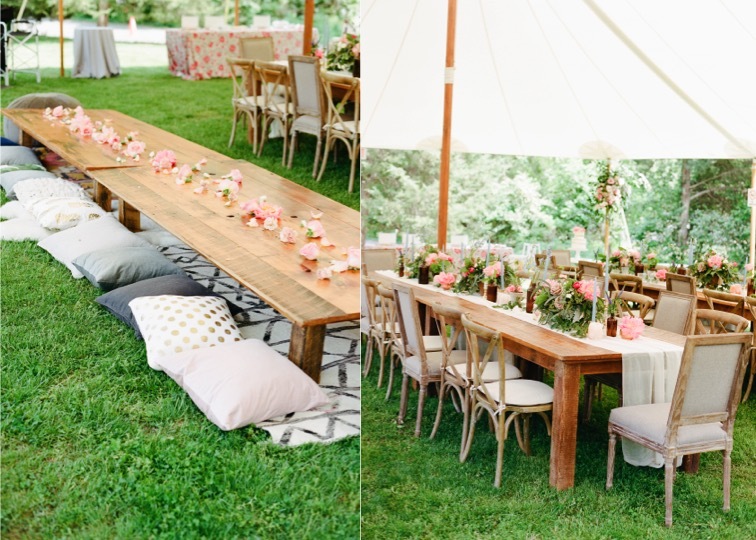 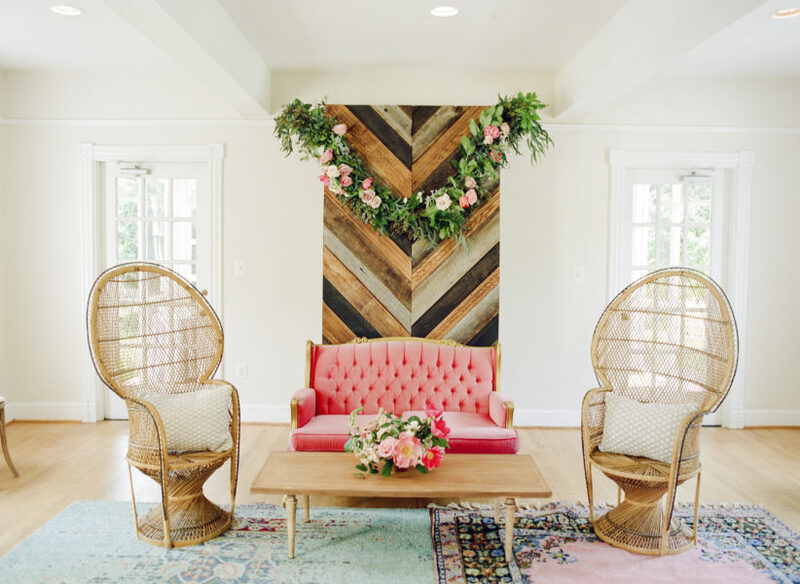 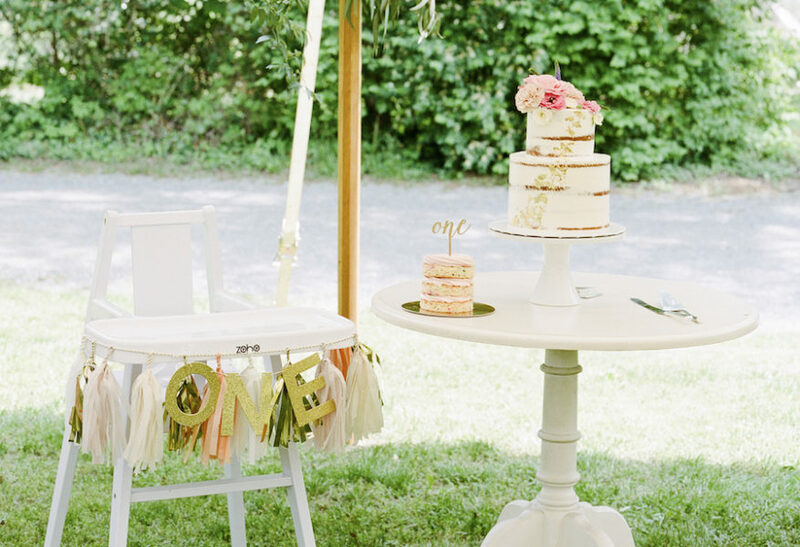 Textured gold and silver linens, ghost chairs and patent leather lounge groupings rounded out the space with little pops of just slightly blush roses. 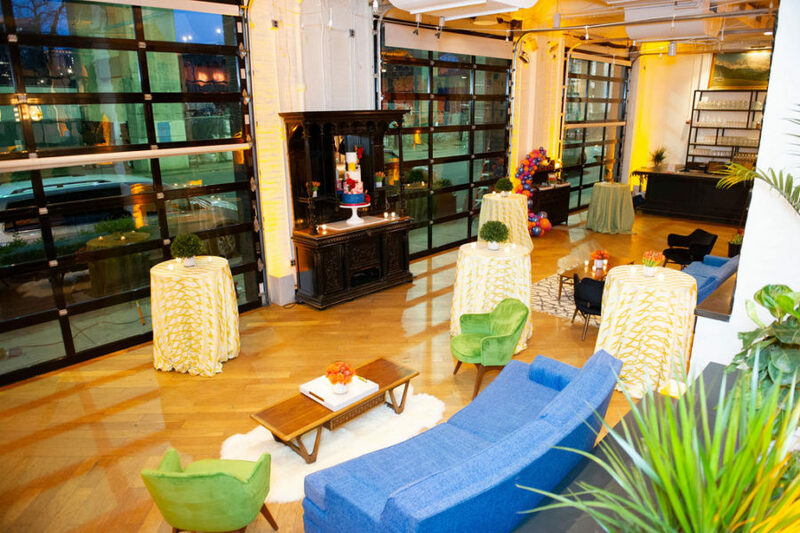 Not one to want anything stuffy Grace opted for a more fun and casual evening. 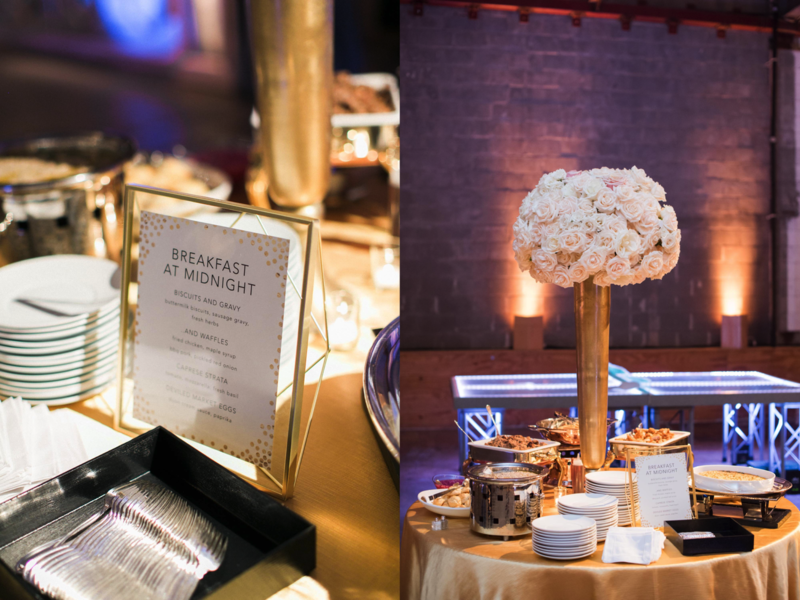 The guests were greeted by scrumptious food stations like Breakfast at Midnight, activities from blackjack to pool, to a palm reader and who could forget about the band! 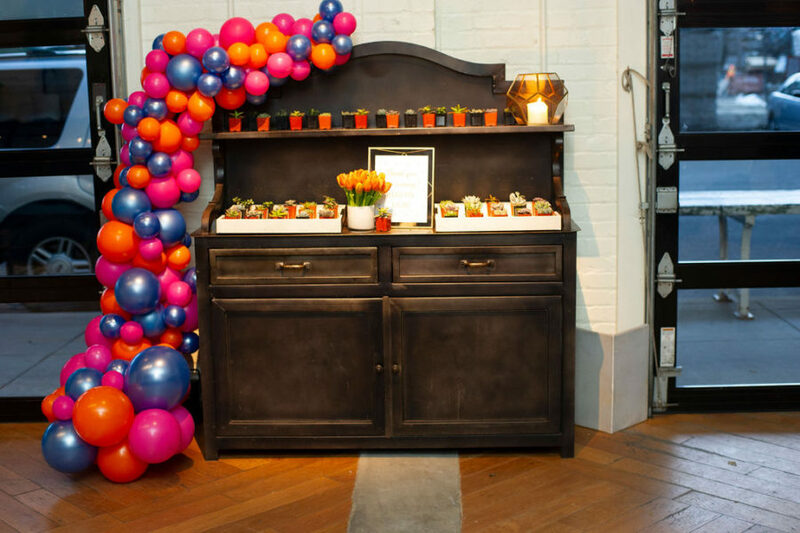 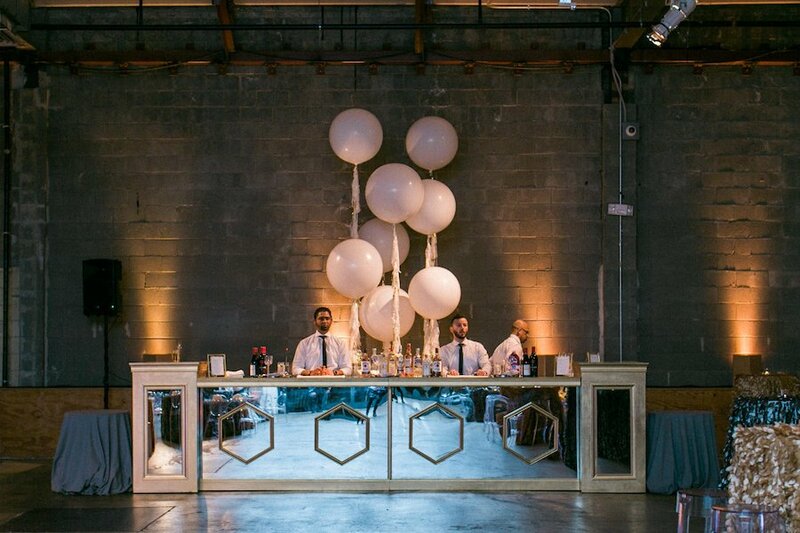 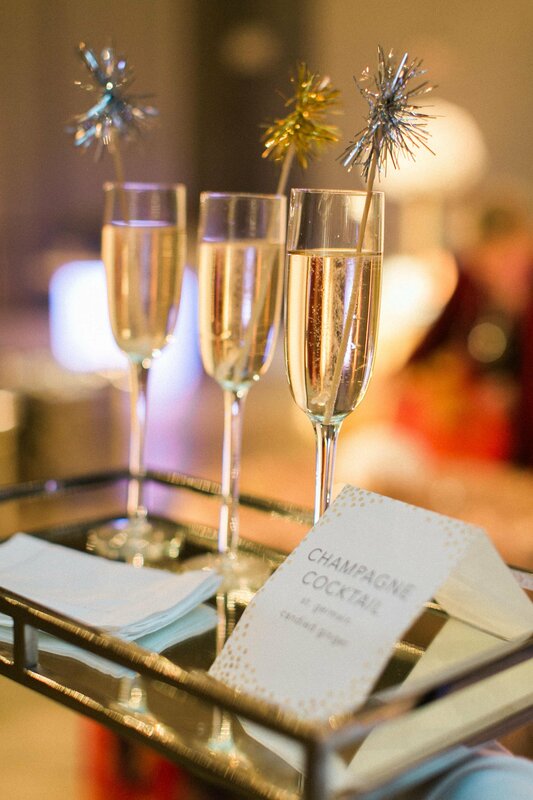 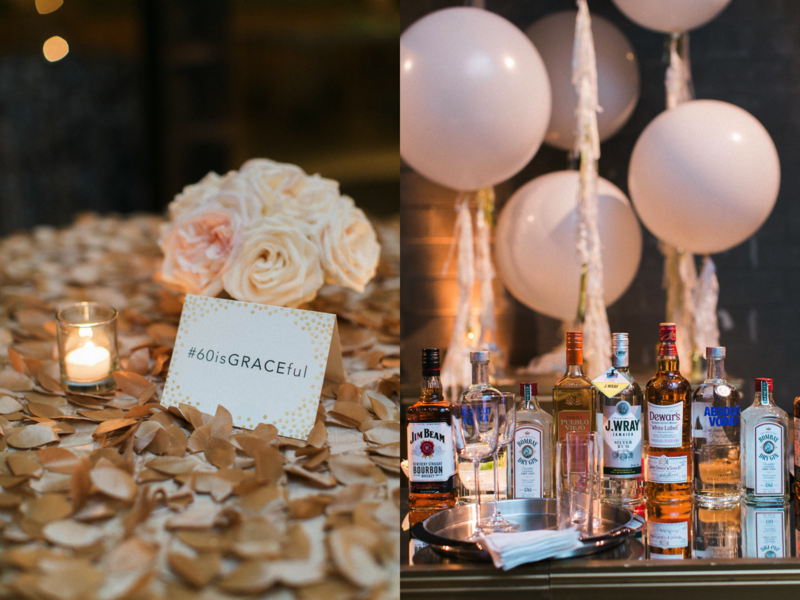 A mirrored bar with fun frilly balloons gave the guests the perfect spot to grab one of Grace’s favorite cocktails in between songs. 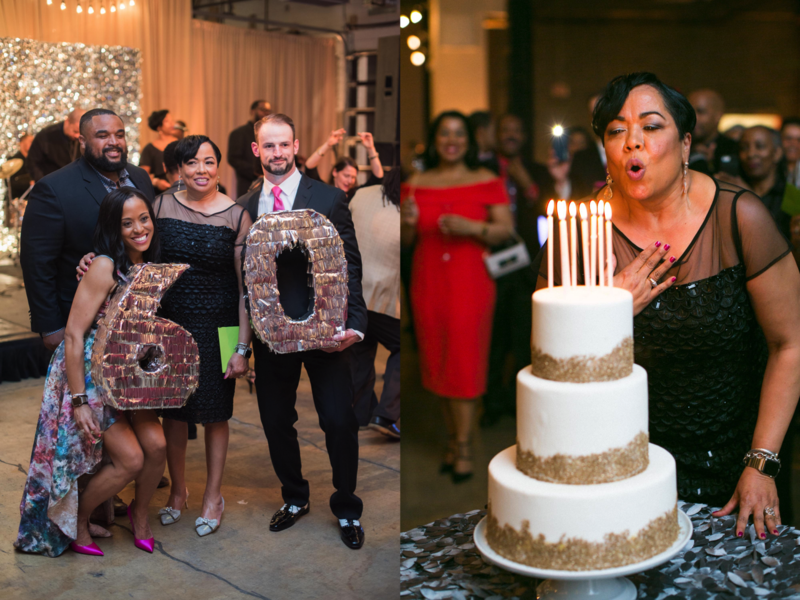 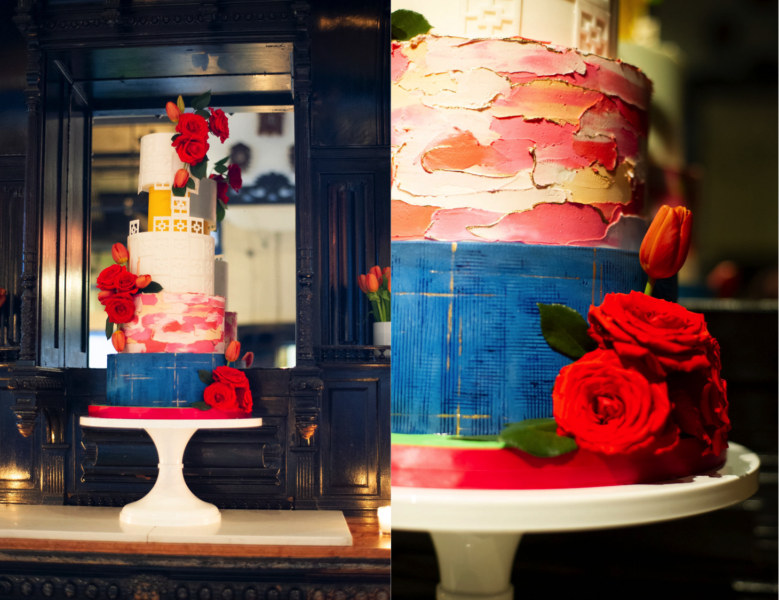 Such a fun birthday celebration – Happy Birthday Grace here is to many more!